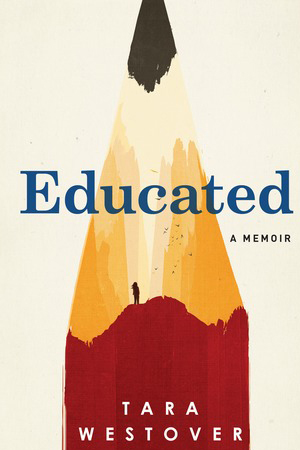 Educated by Tara Westover is the story of Dr. Westover’s past, growing up in a very strict Mormon household, not attending school until college, narrowly escaping multiple family tragedies, and her tales of survival through it all. We chose this book due in part to its presence on multiple “Best of” lists as well as our perception of it as a story about overcoming hardships, confronting challenges, defying the odds, and emerging victorious despite everything. While it was an interesting read, Educated was not the book we were expecting, which resulted in some interesting discussion. One of our biggest discussion topics revolved around the notion of Dr. Westover as an unreliable narrator. Though she provides very detailed examples of childhood occurrences, the reader is left wondering how much of these tales are true, and how much of them are possibly misremembered, given the level of trauma she experiences. There are a few places in the book where she even mentions that someone else who is said to have been front and center for an event does not recollect being there. A bit of research into her family shows that they also do not agree with Dr. Westover’s stories, but that disconnect seems to be one of the main points of the book. The reader may never actually know if the events portrayed are real, embellished, or the result of an active imagination that had plenty of time to run free. Though we were all in agreement with Dr. Westover about the value and the privilege of an education, we were unable to connect it to any value it could bring to our work at Thrivner; specifically, we did not experience any call to action. Even if we view her story with a lens of skepticism, we can still admire Dr. Westover for her determination and unwillingness to quit, in spite of the levels of abuse – emotionally, physically, and spiritually – that she endured. The end of the book brought about more of a sense of relief rather than satisfaction, though it left us curious as to what she is accomplishing in her journey now, and how/if her family fits anywhere in that picture. The challenge of taking her experiences – combined with her talent and hard-won education – into the world and adding this to her story would have been of greater interest for our group.